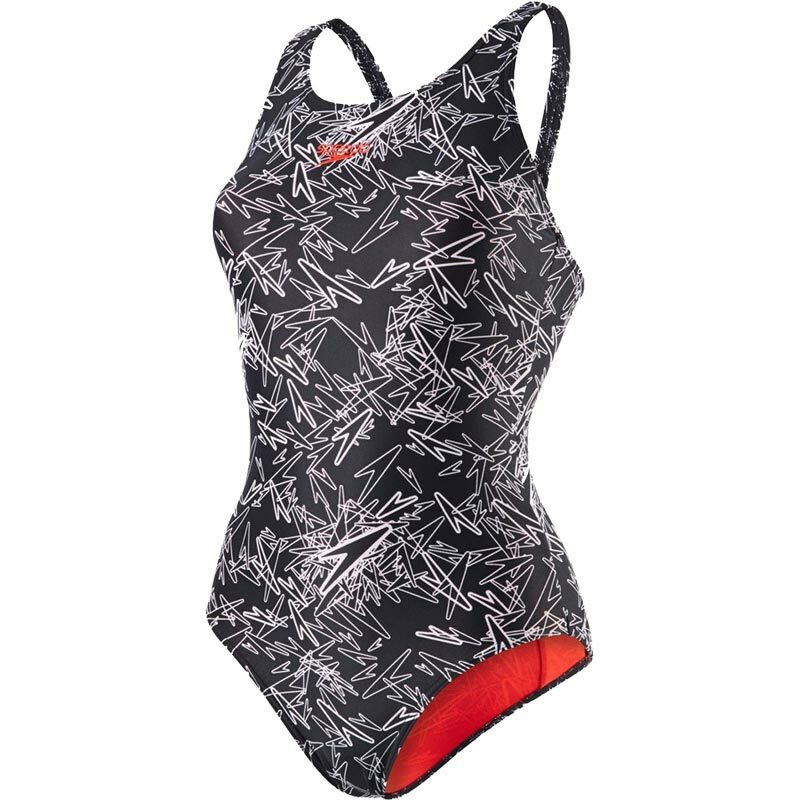 The Speedo Boom Allover Swimsuit is ideal for fitness and training swims. Striking the perfect balance between sporty and stylish, the Speedo Boom Allover Swimsuit has the new signature print. The muscleback style allows for freedom of movement. Muscleback design offers flexibility and freedom of movement, so you can train in comfort. Fully lined with a contrasting colour. Comfortable fit fabric which stretches so you can enjoy your swim without feeling restricted. Durable, quick-drying, soft to touch and more resistant to sunscreen than traditional swim fabrics. Shape retaining Endurance 10 fabric fits like new for longer. Leg height - Medium cut. Our female swimwear sizing is based on your bust, waist and hips measurements in inches. We have included an approximate conversion to UK dress size to make it easier to find the size that's right for you. I love this costume. The lining is a bonus and the style just right for my aqua aerobics class. I bought a size 12 which is a little snug (difficult to wriggle out of when wet!) for my normal size 10/12 . Very impressed with Newitts; cheaper than other companies.